The OSRAM HSR700/60 is a single ended metal halide lamp with daylight-like characteristics. 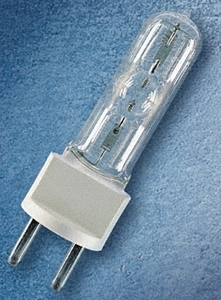 The lamp design with outer bulb allows easy handling. The HSR700/60 is mainly used in the effect and advertisement projection field. Hot restrike is not possible.